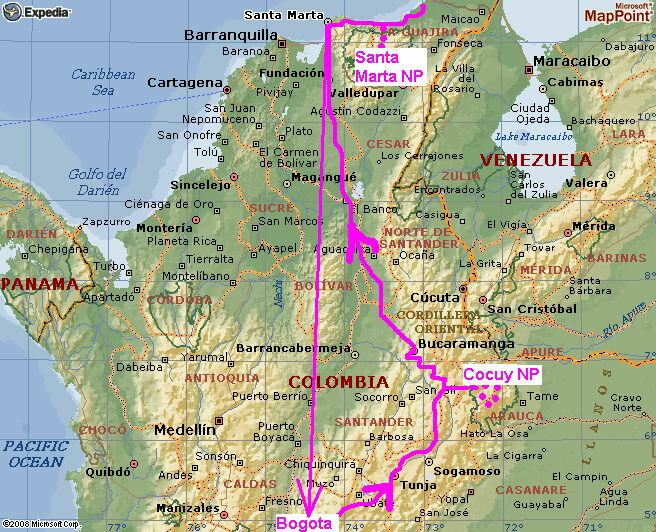 Our just 2 weeks long trip to Colombia was quite a surprise. We met very few tourists due to bad image and security of Colombia. But we met very nice local people, had no security problems at all, enjoyed very comfortable long distance buses like Expreso Brasilia. 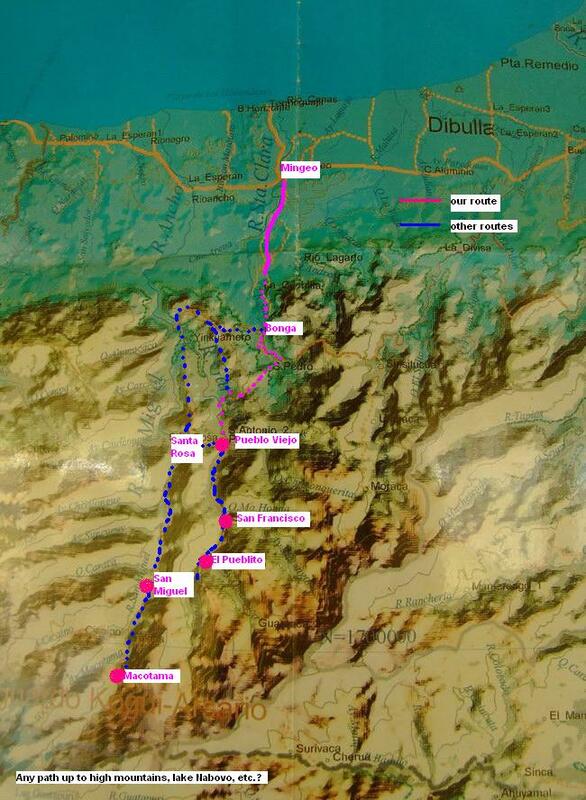 Detailed description of Cocuy trek. 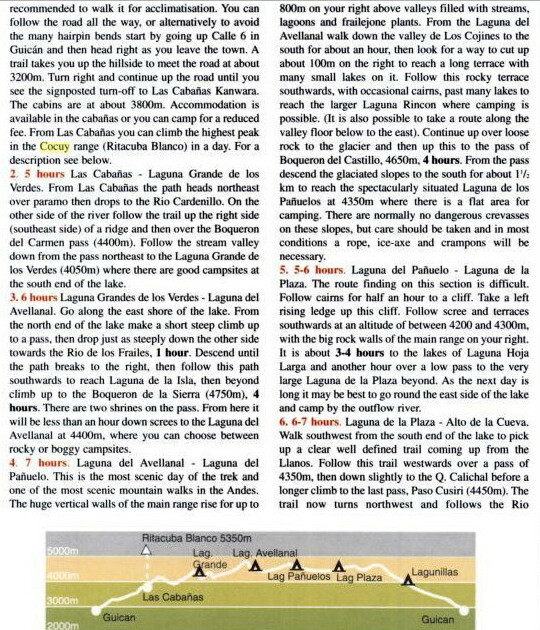 Similar can be found in good 1995 edition of Lonely Planet Colombia. The new edition describes cities only and is pretty bad for any villages or trekking. We originally intended to do 5-6 days trek from Nabusimake in the south (Valledupar area) to lake Nabobo in the middle of the high mountains and back, as descrited in old 1995 Lonely Planet Colombia and in Andes Trekking guide as well. The access from south up started to be prohibited by Arhuaco indians sometime in 1995. But we were short of time, so chose to try just the lower jungle from the sea (north). The path to Pueblo Viejo was mentioned somewhere on www by Alain Pereira, who filmed there and around his famous documentary about Kogis. The path prove to be very good, with first part being even jeep road. We met tens of nice Kogis moving up and down. This seemed to be the main and easiest access path to their higher villages, e.g. Santa Marta, San Miguel, San Francisco, Macotama etc. There's a school nowadays in Pueblo Viejo, plus Colombian army camp somewhere near (we were told) and some guerrilas around - we were told that in school, we met Kogis only fortunatelly and experienced no problem on the way.